Playing against Fiji is an exciting experience and one that brings back fond memories of playing at home. This was highlighted by Fiji born, Japan 7s player Josefa Lilidamu who also highlighted that playing against Fiji at last year’s Rugby World Cup was very physical and exhilarating where he was named in the Dream Team. 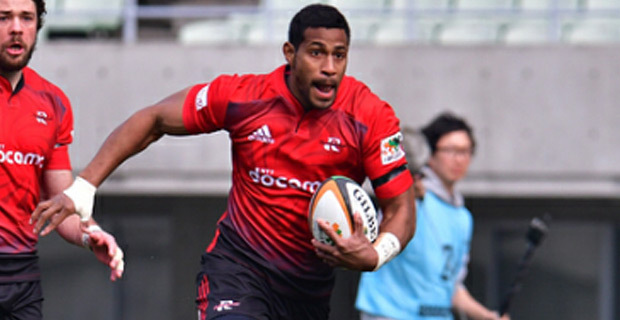 Lilidamu who grew up in Nadi and is a former student of Ratu Navula College moved to Japan on a rugby scholarship and was drafted by the Japan 7s team at the age of 23. The 29-year-old has also confirmed that he is now working to sort out his passport and citizenship to be able to represent Japan at next year’s Olympic Games. While watching the Fiji National mens 7s team training at Albert Park today, Lilidamu says that the team looks fit and he wishes them well ahead of the Hamilton and Sydney 7s. Fiji is pooled with Australia, Wales and Argentina in the Hamilton 7s which will be held on the 26th and the 27th of this month.